For whatever reason, you might have not updated your Windows virtual machine to Windows 10 yet. Maybe the tiles from Windows 8 turned you off, maybe you have programs that are only supported in Windows 7? Whatever the reason, you might want to take advantage of the short window we have left to get the free upgrade to Windows 10 (July 29th is the cut off date). Before you panic though, you will still have access to your Windows 7 virtual machines even if you upgrade one of them to Windows 10! So why not do it now while it’s free, and keep one of these for when you DO need the latest edition? Don’t worry about it, I’ve got step by step instructions on how you upgrade Windows 7 to Windows 10 in Parallels Desktop for Mac. You want to start out on the right foot – trust me, doing these steps now will save you a lot of time and headaches in case anything goes sideways in your installation down the road. Take a new snapshot of your VM before starting. This might not be necessary if you just created a new Windows 7 VM with the intent to upgrade it to Windows 10 – but if you’ve done any work at all in this VM, you’ll want to take a snapshot now. A big advantages of a VM over a real PC is the way you can backup/restore the VMs, whereas it’s a bigger pain to do so on a regular computer. (You can get instructions on how to do a snapshot here, or in this blog article). 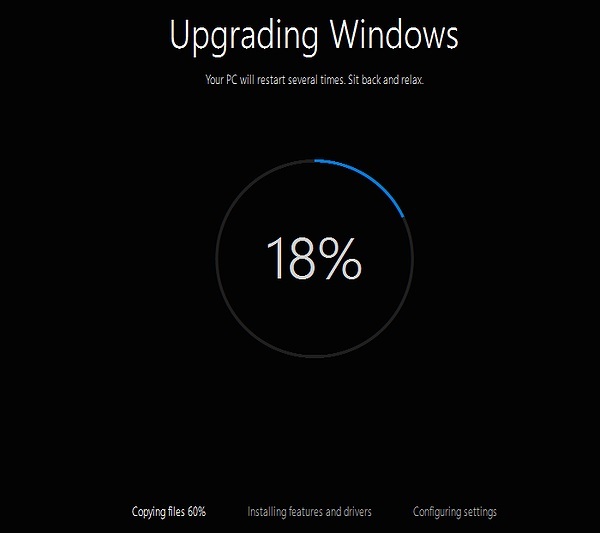 Run the updates in Windows 7 so that it is up-to-date. My personal recommendation is for you to open your virtual machine configuration and increasing the memory. You’ll need to allocate two processor cores and 2 GB of RAM memory. Make sure you have at least 10 GB of available space on your virtual hard disk. Instructions on how to add more space for Windows are here if required. With all of that ground work out of the way, there are a few more things you need to have ready. 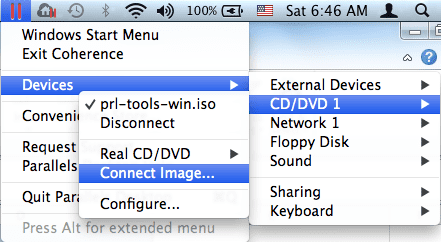 If you’re in Window view mode: In Mac menu bar click on Devices > CD/DVD 1 > Connect Image..
You’ll need to restart your VM as part of the upgrade process – but that’s it! You’ve managed to upgrade Windows 7 to Windows 10 in Parallels Desktop for Mac! Just make sure you get it all done before July 29th! Comment below or tweet to us if you have any questions with this process! The process that is mentioned over there in the article given here is really very effective and it will allow you to run two type of operating system on your system at a single time. I have already applied this to my system and it really very beneficial to all of us. You can also visit Epson printer not printing to get more suggestion in this matter.